Breathing Shadows is a Photo series inspired by Japanese photographer Tokihiro Satō. Why: At Dutch Design Week 2015 a photo exhibition by Tokihiro Satō amazed me. 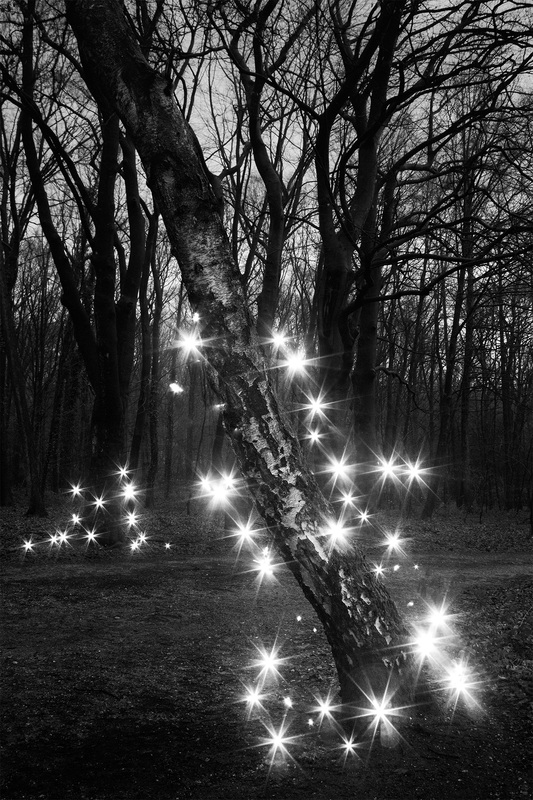 He turned slow shutter speed photography from a gimmick into something magical. I wanted to try this for myself and learn more about his process. I did my research, like watching a video of Mr. Satō running around with a mirror in Akihabara, and felt prepared to create my own photos! 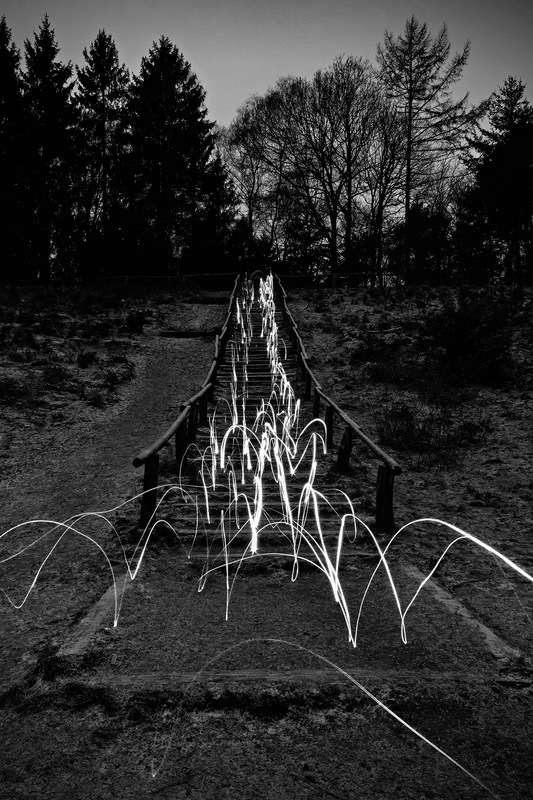 About: These photos are created by drawing an image with a flashlight in front of the camera during nighttime. So it’s like painting with light! The movement of the light has a connection with the breath, that is where the name of the series comes from. 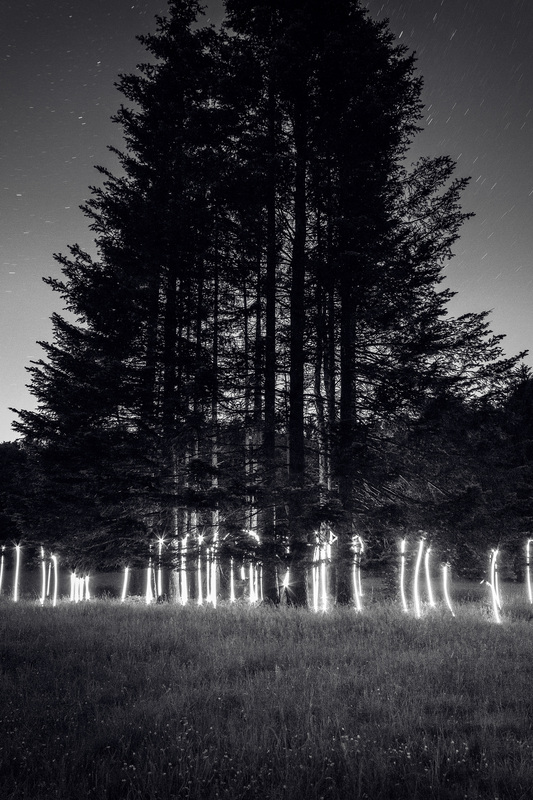 The art is to paint an image that makes sense in its surroundings, like a network of lights between trees or lights going up and down a set of stairs. This way the viewer won't think about the human that painted the picture but wonder about the scene that is pictured. 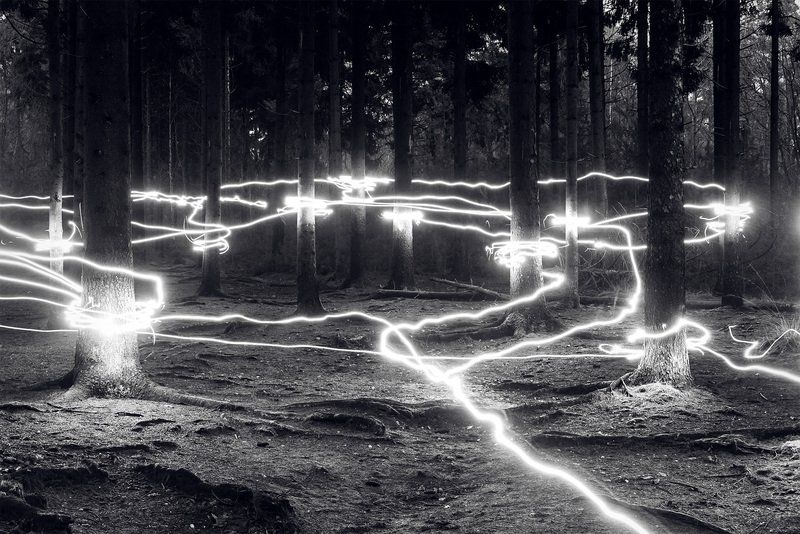 A network of light wrapped around the trees. Captured in of february 2017. Exposure time of 8 minutes. Glowing Tree. Captured in february of 2016. Exposure time of 7 minutes. Souls huddled up below a set of trees. Captured in May 2018. Exposure time of 5 minutes. This photo was created with the help of Menno Dekker and Matthijs Dijkman. Light flowing down stairs. Captured in february 2016. Exposure time of 8 minutes. Images on this page may be used or shared noncomercially. You must give appropriate credit (© Mike van Putten) and provide a link to this page.